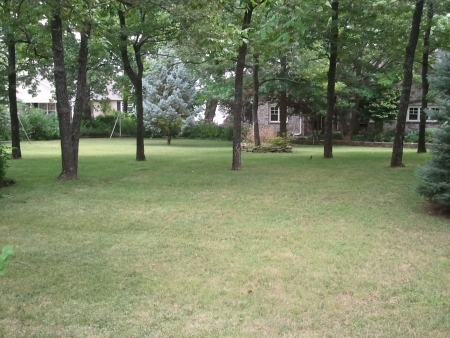 In need of a reliable lawn service or landscape company for your Grand Lake area property? Luckily there are several companies and many individuals throughout the Grand Lake region who are eager to help with your landscaping and yard needs…making sure the yard and landscaping at your Grand Lake home or cabin looks great every time you show up. Check out these local lawn and landscape companies and then keep reading below for some things to consider when hiring a lawn care company for your Grand Lake home. Nothing is better than showing up at your Grand Lake property and seeing how great it looks because you’ve hired the right lawn care company! Many of you might not even need to worry about hiring for lawn care if you live or have a house in a development that includes all exterior maintenance. But for most Grand Lakers having a reliable lawn care and landscape company is something that is vital to making your trips to Grand Lake the best. Having known several people over the years who have tried to ‘do it all themselves’, I can tell you that nobody really likes coming to the lake…only to spend their entire time mowing, weed eating, cleaning up debris along the shoreline and all of that kind of stuff. And lawn services aren’t just for the 2nd homeowners and part-time Grand Lakers. When life takes over and you ‘get busy living’, it’s good to know that your yard and landscaping are taken care of. That way, after work, you can go fishing or for a boat ride or any number of things that make up Grand Lake Living! Ask for references and check out some of the other properties the company takes care of so you can see if you like their work. Do you need a month to month contract or do you want to do a yearly contract and include stuff like leaf removal in the fall and winter months. Finally…what does you gut tell you? Is this someone or a company you can trust? With so many reputable lawn and landscape companies in the Grand Lake area, you won’t have any problem finding the right pro to work on your yard.